Every so often, people get asked by their doctors to have a hearing test. 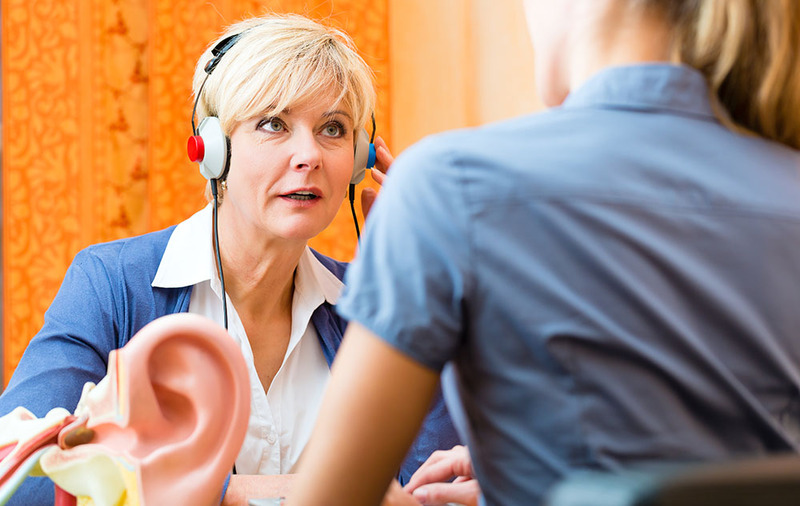 Being summoned for a hearing test doesn’t necessarily mean that there’s anything wrong: it’s often just to make sure that everything is functioning correctly. According to research, around 20 percent of people who are between the ages of 45-64 will experience some kind of hearing loss. This is why it is crucial to get regular checkups and get help when needed. It’s worth pointing out that hearing loss is often a gradual process – something that many people do not notice happening over time. You may think that your hearing is fine, but a rigorous examination is a much better way to evaluate the health of your ears. What happens during the hearing test? Most hearing tests take between 30 minutes and two hours to complete, depending on the complexity of your case. During the test, you’ll be asked to wear some headphones and listen to various sounds to find out more about the nature of your hearing loss. Some hearing tests ask you to listen to the sound of voices – a specific and critical type of sound you want to be able to hear well during your daily life. You may struggle, for instance, to hear certain words, or specific letters within words, causing you to misinterpret what has been said. During the test, you’ll be asked to repeat back any words you hear through your headphones. Hearing specialists may conduct these tests in noisy or quiet environments to see whether you struggle to block out extraneous sounds. Most hearing tests also investigate whether you find it more difficult to hear certain pitches compared to others. As before, you’ll be asked to wear a pair of headphones and then listen to pure tones. The person conducting the test will then ask you to indicate every time you hear a noise, testing each ear in turn. Pure-tone tests like these make it possible to create a profile of the ability of your ears to pick up various sounds, allowing practitioners to check the severity of hearing loss and which frequencies are most affected. Middle ear tests: The middle ear encompasses the region of the ear just behind the eardrum but before the oval window of the inner ear. In many cases of hearing loss, the inner ear can be the cause. Middle ear tests are designed to find out whether the inner ear is impaired in some way, usually because of the presence of fluid. During these tests, hearing professionals push air into the ear canal to see how the eardrum reacts. Certain vibrations are indicative of a healthy middle ear while others are not. The person examining your ears will also look for something called acoustic reflex or the way your middle ear responds to loud sounds. Acoustic reflex helps to identify things like perforated eardrum and blockages in ear ventilation. Otoacoustic emissions: Otoacoustic emissions test involve inserting a non-invasive probe into the inner ear and measuring the response of hair cells after stimulating the cochlea. Brainstem response tests: Our ears provide the machinery to take in and process sound waves, but what we actually hear is the result of brain activity. In a sense, our brains hallucinate incoming sounds that our conscious minds can interpret them. Often, though, the ability of the brain to do this becomes impaired, causing a loss of hearing. 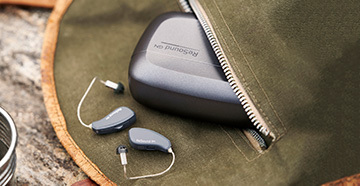 Brainstem response tests use electrodes that scan the brain while listening to sounds to see whether neural problems are responsible for hearing loss. They are pain-free. After the hearing test is complete, you’ll get a read-out of your results. Understanding these results can be difficult, but in general, they should provide you with a good approximation of the state of your hearing. As discussed, many adults don’t realize that they have experienced any hearing loss and so are often surprised to find themselves in the mild to moderate categories. This emphasizes why it’s usually so important to have these hearing tests done. If you discover that you have hearing loss, then come and see one of our hearing instrument specialists at Beck Hearing Aid Centre. 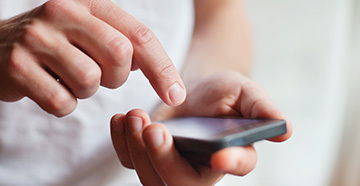 Call us at (519) 438-0492 to find out more about whether you could benefit from a hearing test.